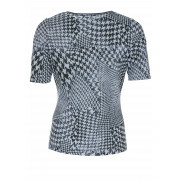 Just White present this easy wear short sleeve top which would look great worn with a plain navy blazer and jeans. 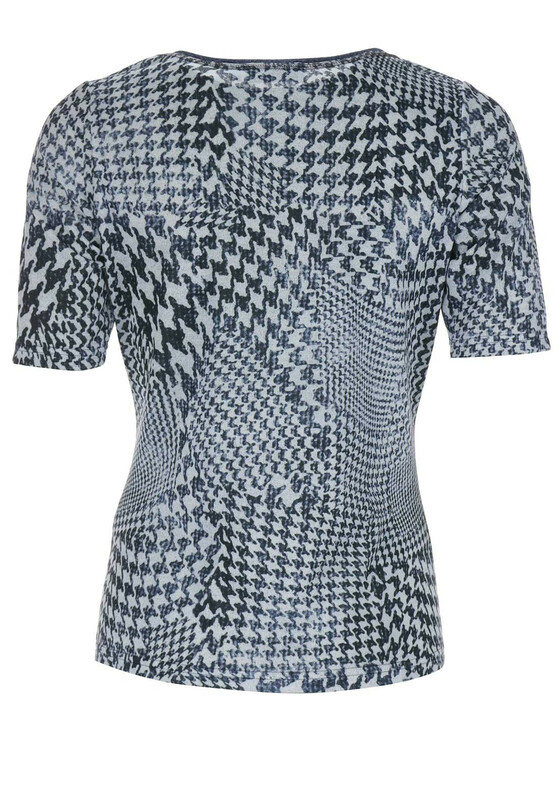 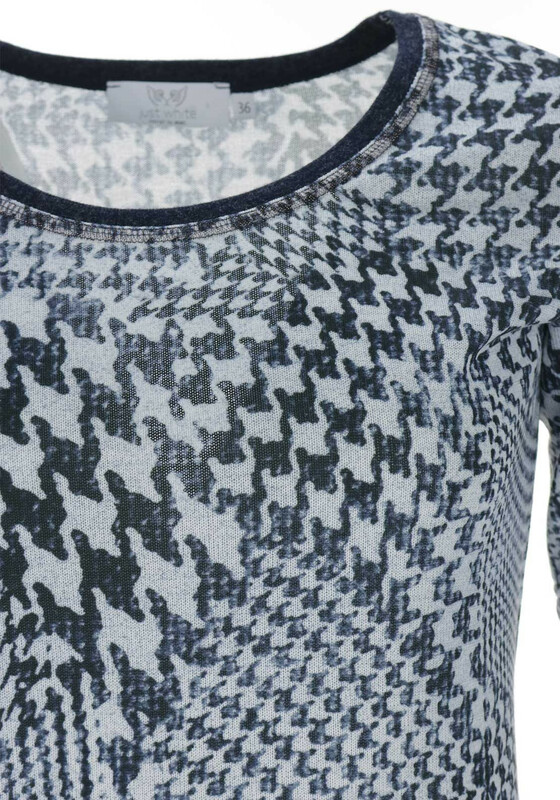 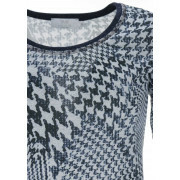 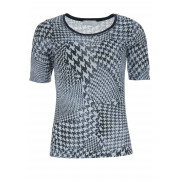 Made from lightweight fine knit fabric with a variety of Houndstooth prints throughout. 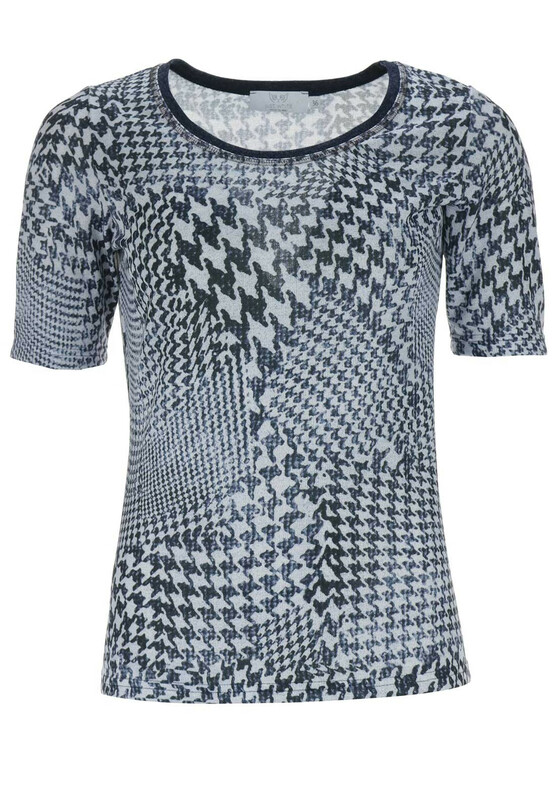 Styled with a figure fitting shape.